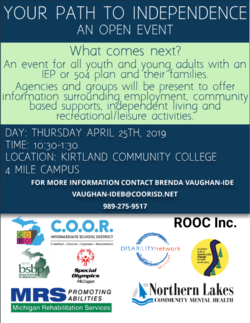 The Conference will be held Saturday, May 4th at Roscommon High School. Child care providers and parents are encouraged to attend. 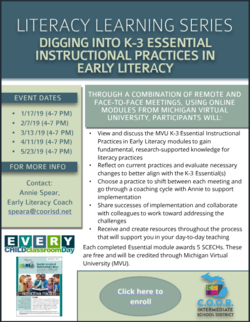 The cost is only $10 with an additional $5 if you want State Continuing Education Clock Hours (SCECH). After reviewing the agenda booklet with description of breakout sessions (will be linked soon), please contact Kristen Johnson to register by phone 989-275-9516 or by email at johnsonk@coorisd.net . As a reminder, there is a limit of how many participants in each session, so don't wait to register. 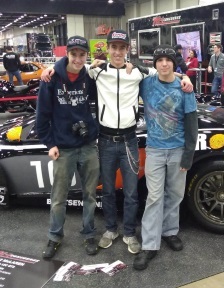 In March, students from COOR Career Tech’s automotive program travelled to the 67th Annual AutoRama in Detroit. AutoRama Student Day exposes students to the wide range of opportunities in the industry through speakers, corporate support and event participation. New features for this year included automotive design, engineering, manufacturing, marine, motorcycle, small engine and welding. Our Career & Technical Education program is being revamped for the 2019-2020 school year. Please watch for information on the five-day-per-week schedule with classes at your local district and other districts within the ISD. The Vocational Early Middle College options will continue to allow high school students to earn college credit in Welding, Automotive, or Criminal Justice. COOR Intermediate School District acts as a link between the Michigan Department of Education and local school districts. The ISD provides Special Education, Career and Technical Education, Early Childhood, and General Education programs and services. This four-county area comprises the second-largest region serviced by any ISD in the state (square miles) and the local districts enroll about 7,500 students. COOR ISD is located in picturesque northern Michigan, a region known for its natural beauty, teeming with lakes and rivers and vast tracts of forests. The area is renowned for outdoor opportunities including numerous ski resorts, world-class golf courses, wildlife viewing, hiking, hunting, and fishing. Meetings are now beginning at 6:00 PM. 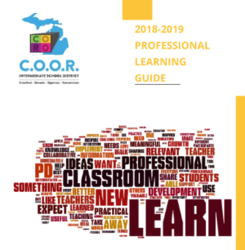 COOR ISD provides programs and services with our partners to support the current and emerging teaching and learning needs of our schools and communities. 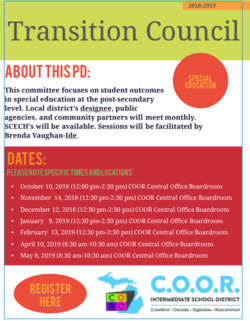 The Vision of the COOR ISD is to be the leader for excellence in the continuum of services supporting programs within the schools and communities we serve. The Board of Education adopted a new mission and vision statements created at the planning session in January 2018. The Administration team is detailing action steps to implement each of the goal statements identified by the group of stakeholders. 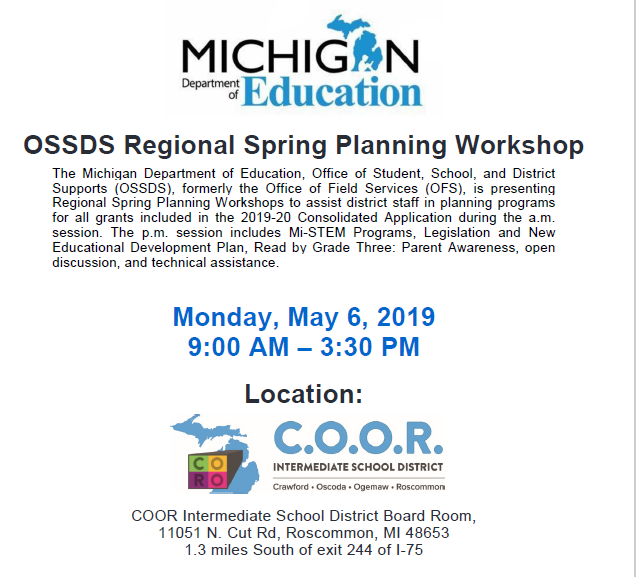 The ISD collects and monitors data that is required by the Michigan Department of Education and works with local districts to ensure that the type and nature of services needed within our area are properly represented at the state level. 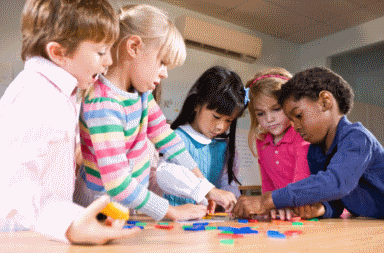 The services that the ISD provides allow local school districts regardless of size to have access to quality personnel, services and programs that they could not afford individually. This prevents unnecessary duplication and better use of state and local money through the sharing of resources. The COOR Intermediate School District makes every effort to provide a high quality website with information and links that facilitate the accomplishment of our educational mission. COOR ISD Accessibility Policy While we make every effort to ensure accessibility prior to publishing third-party content, due to the unpredictable nature of the Internet, the accessibility of this content may change. If you have difficulty accessing content, please contact our Accessibility Coordinator at accessibility@coorisd.net. The COOR Intermediate School District gives notice that it does not discriminate on the basis of race, color, national origin, gender, age, height, weight, political belief, religious belief, marital status, or disability in the education programs and activities operated by the District, including employment. The following persons have been designated to handle inquiries regarding the nondiscrimination policies: Marc Wills, Director of Special Education, and/or Shawn Petri, Superintendent, 11051 N Cut Rd, PO Box 827, Roscommon MI 48653, (989) 275-9555.